Jessica has left the building. 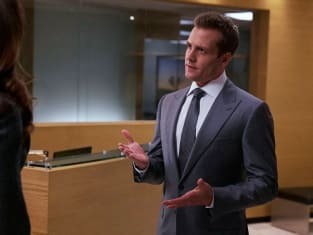 On Suits Season 6 Episode 10, Jessica left the firm after helping Rachel win Leonard Bailey his freedom. TV Fanatics Stacy Glanzman, Jasmine Blu, Christine Hinton and Allison Nichols discuss Jessica's goodbye, Leonard being set free and what's next. What did you think of Jessica's exit? Stacy: I love Jessica, and I'm sad to see her go, but, if she had to leave, I'm happy with the way they wrote her out. I loved the flashbacks, watching her remember why she became a lawyer in the first place, and getting the win with Leonard. It was all very emotional. Jasmine: I'm devastated. I love Gina Torres and Jessica was my favorite! The show never delved into her character development as much as the others to me. Her departure was bittersweet and subdued, too subdued. Watching the show will ever be the same. Christine: I started watching Suits because of Gina Torres. I was a huge fan of hers from Firefly, so I’m very sad to see her go. At the same time, I can see how the story has to change. Part of the drama was in Jessica not knowing Mike’s secret, and then in Jessica helping hide Mike’s secret from the world. Now that there is no secret, the focus of the show must change, and that seems to mean losing Jessica. Allison: It will be strange not seeing her in the every day workings of the firm, but I'm happy that she is putting herself first. Jessica thought about what was wrong with her life, and she saw what would make her happy. It took courage to take it. I wish we saw this realization play out over the course of the season, but her exit was still nicely done. React to Leonard being set free. Stacy: I'm so glad they won. Jessica was fantastic in court, as was Rachel when she put him on the stand. They worked so hard and they both really needed that win. Of course Leonard's daughter being there added to the emotional impact, but I do wish we could have seen a reunion with the woman who raised him. Jasmine: *virtual happy dance* I'm so glad he got a happy ending! For a while I was afraid he wouldn't. That little storyline really tugged at the heartstrings. Christine: It just reminds me of how much I’ll miss Jessica. I loved how this brought her and Rachel together and combined both the legal and the emotional. Leonard got his life back and Jessica reconnect with why she studied the law. Win-win. Allison: I am glad he was set free. I liked how his case helped Jessica realize that she needed to leave. I enjoyed watching Rachel and Jessica take on Leonard's case and work side by side. Discuss the Donna/Harvey scene at the end of the episode. Stacy: I've never necessarily "shipped" this relationship, but I'm not against it either. I think if the show is going to keep hinting at it, then it's time to just go there already. The hand holding was a sweet moment between them, so hopefully it means they're ready to jump in and stop dragging the possibility along. Jasmine: I'm not a Donna/Harvey shipper. Please don't throw stones! But they haven't addressed their relationship status all season, so I know that supportive, intimate moment was very much appreciated by fans of their relationship. Christine: Just go there already! I hate it when shows jerk fans around with a possible relationship but never make it happen. The hand holding was fine but let’s take it somewhere. Both Harvey and Donna could use a little romance in their lives. Just do it! Allison: It was a cute moment. I'm not sure if I ship them romantically or not, but I do know that I love the two of them together working as partners. 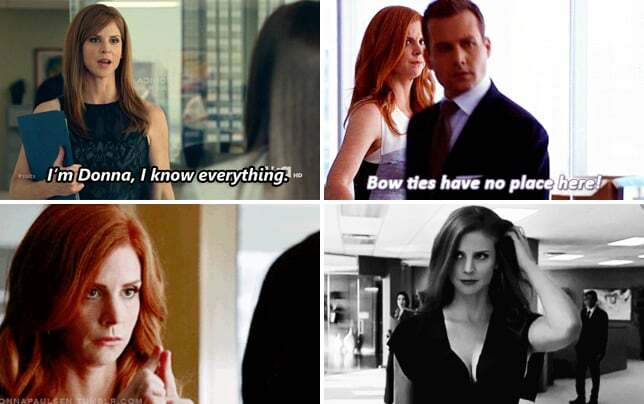 It would be amusing to see Louis react to Donna and Harvey dating. Is Louis being too desperate with Tara? Stacy: This whole thing is just completely crazy. They just started dating and they're already engaged? She just broke up with her long time boyfriend, and is now pregnant with his child. I think they are moving way too fast. But, I like seeing Louis happy, so I hope it works out for him. Jasmine: I checked my pockets, but I'm fresh out of damns to give for this storyline. He was desperate when he lied about the condo. He's surpassed that by now. Christine: If they had been friends first, or had been dating for a while, I’d applaud Louis for jumping in no matter who the father is, but this is kind of nuts. These two hardly know one another and he’s pledging his undying love and promising to raise her child. Yikes! Allison: Why I am still being forced to watch this storyline? I just want it to be done. How many dates have they even been on? Louis needs to slow down. Stacy: I give it an A. I loved it. Last season and the first half of this season have been the best of the series in my opinion. It's hard for a show that's been on this long to keep getting better, but it is. Jasmine: I'm going to give them a solid B. They had a really strong beginning and a strong ending but the middle was inconsistent. Everything Donna told the others sums up my issues with the season. The firm was in jeopardy but everyone lost focus and shifted to other things. The Louis/Tara/Donna arc was abysmal. The execution of Mike's prison storyline was choppy. Some hits, but a lot of misses too. Christine: I give it a B. I expected the focus to be on saving the firm but the story went off on more tangents than I expect; some worked and some didn’t work as well. Allison: I'm going to give it a B as well. I enjoyed watching this show change things up. Mike being in prison definitely was an interesting course to take, and while it had its issues, it was entertaining to watch. What do you want to happen before the season is over? Stacy: It's time for Harvey and Donna to admit their feelings for each other. I'm also looking forward to seeing what Mike decides to do next. Perhaps a wedding? 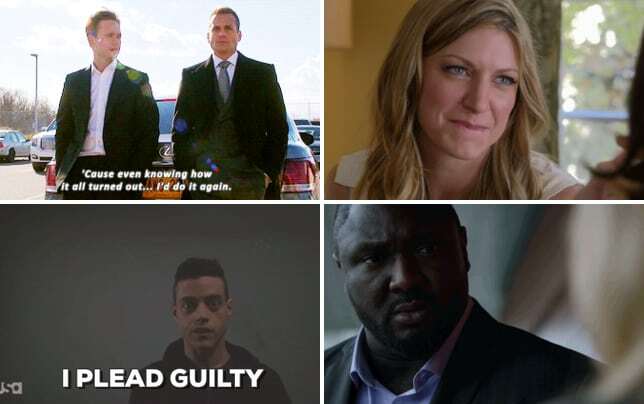 I don't know who will make it down the aisle first between Louis and Tara and Mike and Rachel, but it wouldn't surprise me if one of them happened by the end of the season. Jasmine: I'd love it if we continue to see Rachel have arcs outside of Mike. She shines best with those. I actually don't want to see Mike work with the firm. I can't suspend my belief that much. He's a convicted felon. I'd like to see him really struggle and work to find something else. I also want to see how "the kids" pull off managing the firm without "mom." And more Gretchen. Christine: I want Harvey and Donna to make a real go at a relationship. It’s time. I want Rachel to continue to come into her own professionally, either away from Mike or as an equal. I’d also like for Louis and Tara to make it, despite the ridiculous odds. Most of all, I want to see things center on the law firm again. Overall, I’m just looking forward to more! Allison: I really want Mike to take a long look at himself and the possibilities he has for his future. Can he handle being back at work but not being a lawyer? I feel like it would actually be really interesting to see him go to therapy. 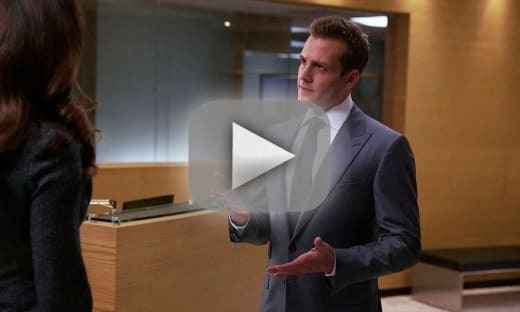 I'm also hoping for some lighter storylines featuring Louis and Harvey bickering over how to properly run the firm. Oh, and maybe could we hire some associates or junior partners or something? We need some fresh meat. 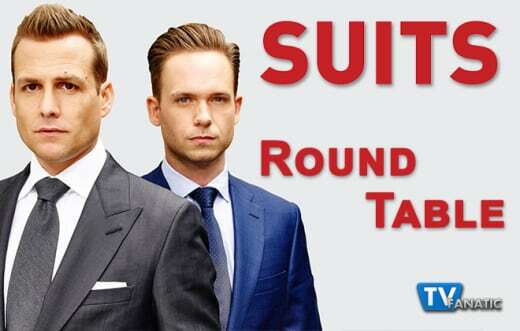 Remember you can watch Suits online right here on TV Fanatic. Get caught up now!